Home › All › The CLASP facebook page is now open for business again! The CLASP facebook page is now open for business again! Thanks to all who have posted, commented and liked within the CLASP fb page recently. Our aim is to broaden the appeal of this page and reinvigorate and increase core memberships. To this end please post directly to the page any applicable information within the realm of archaeology and history. It will be great to see an increase in your posts! These could include courses you know to be of interest, photos or videos pertinent particularly to West Northants or other like articles etc. 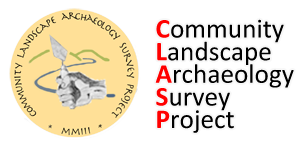 Please help us to maintain an engaging and informative page that will run alongside Clasp’s Web page as a means to widen our horizons. This week our new followers come from USA, NZ and nearby counties.